FG to name, shame and prosecute tax evaders from March 31st, Minister of Finance, Kemi Adeosun reveals – Royal Times of Nigeria. 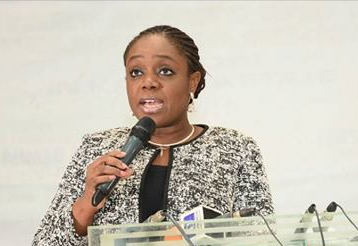 The Minister of Finance, Kemi Adeosun, says as from March 31sth, the Federal government will begin to name and prosecute all tax evaders in the country. The Minister who was speaking at a taxation event in Kaduna state on Thursday, said Nigerians who have not taken advantage of the amnesty provided by the Voluntary Assets and Income Declaration Scheme, VAIDS to regularise their tax profiles, will be name-shamed and prosecuted by the Federal government when the amnesty elapses March 31st.